Study shows that those with TCFL2 genetic polymorphism would be better off without omega-6 oils. See my previous article on Type 2 Diabetes for other SNPs associated with the condition. A new study came out this week on a genetic polymorphism and its association with diabetes. 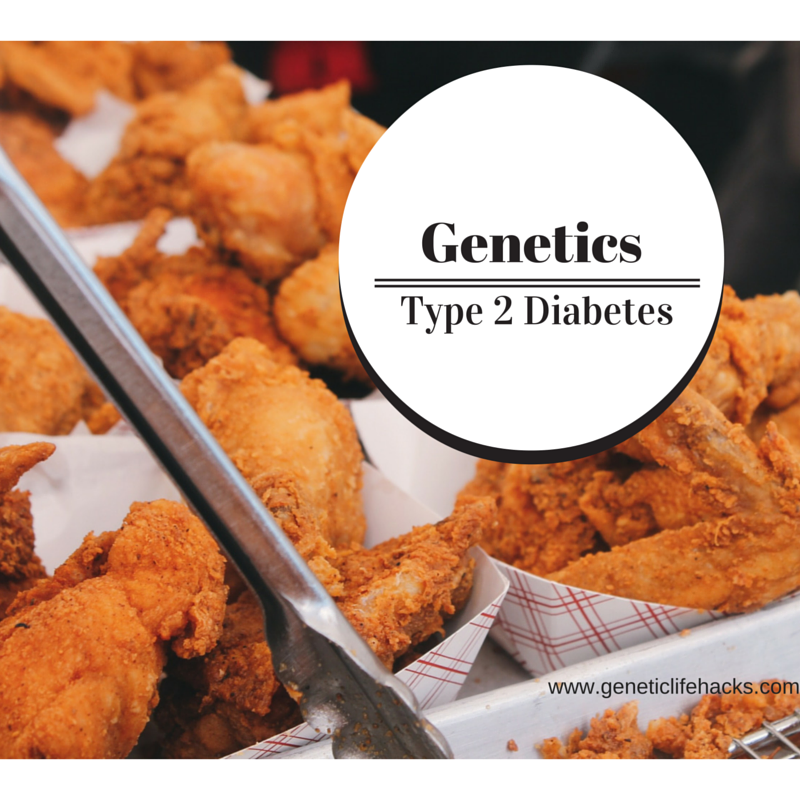 I think it is important if you have type 2 diabetes, or if it runs in your family, to understand the genetic susceptibility of your own body. There are several different ways that a person can have blood sugar regulation problems, including not making enough insulin and cells becoming resistant to insulin. Knowing your genetics may lead you to the right dietary change for your body. If you are diabetic, this is definitely one subject to “talk to your doctor” about before making any changes based on your genetic information. There are many studies on the rs7903146 polymorphism, and it is well documented to be a risk for type 2 diabetes for a range of ethnicities. A 2009 study in the Journal of Nutrition found that the T-allele carriers for rs7903146 not only had higher fasting plasma glucose levels, but they also had a diet interaction when eating a high polyunsaturated fat (PUFA) diet. The study found that “Thus, only T allele carriers with a PUFA intake ≥7.36% of energy had elevated fasting plasma VLDL concentrations and postprandial TG-rich lipoproteins. These variables did not differ in T allele carriers and noncarriers in the low-PUFA intake group. Moreover, these significant interactions were due exclusively to (n-6) PUFA intake. In summary, high (n-6) PUFA intakes (≥6.62% of energy intake) were associated with atherogenic dyslipidemia in carriers of the minor T allele at the TCF7L2 rs7903146 SNP and may predispose them to MetS, diabetes, and cardiovascular disease.“[ref] Foods high in omega 6 (n-6) polyunsaturated fatty acids include: vegetable oils such as corn oil, soybean oil, safflower oil, grape seed oil, sunflower oil, and shortening; nuts such as Brazil nuts, pumpkin seeds, and walnuts; and fried foods such as chips, onion rings, and chicken nuggets. (Top 10 Foods Highest in Omega 6 Fatty Acids) A 2013 study looked at diet interaction with rs7903146 (T/T genotype) and found that the Mediterranean diet (a diet that is high in omega-3 fats) may help. If you want to learn more about the big picture for free fatty acid levels in connection with type 2 diabetes, a 2011 article in the journal diabetes may be a good starting point: Fatty Acids, Obesity, and Insulin Resistance: Time for a Reevaluation. Another interesting source of information is the 2014 Frontiers in Endocrinology report with information about types of fat and type 2 diabetes: Treatment of type 2 diabetes by free fatty acid receptor agonist.